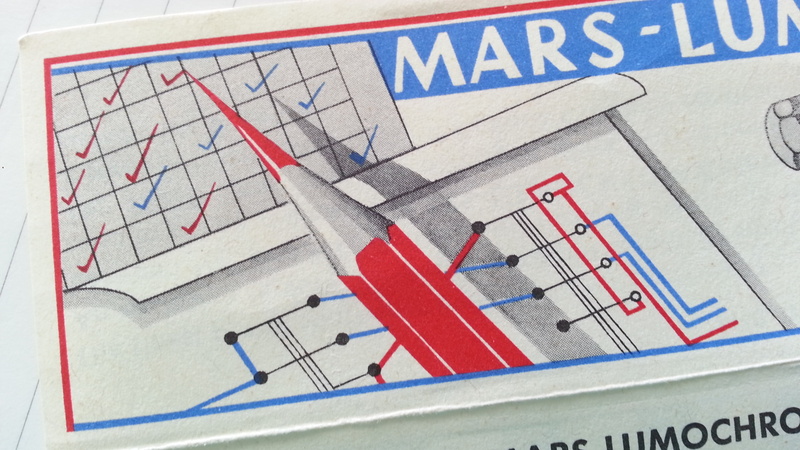 Inspired in turn by the Mars Lumochroms at Lexikaliker, here’s my (unintentionally Italian-style) offering. 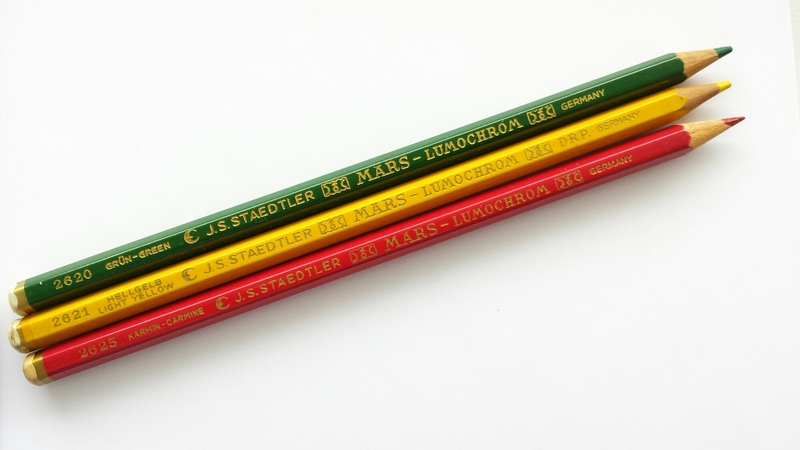 The amazing thing about these pencils is that they didn’t come from eBay or Etsy or anywhere like that – I found them in a store, the same one where I got my Chung Hwa pencils. They were there the whole time. The yellow one says “DRP. Germany” while the others have just “Germany” written on them; I wonder if one is older than the other? 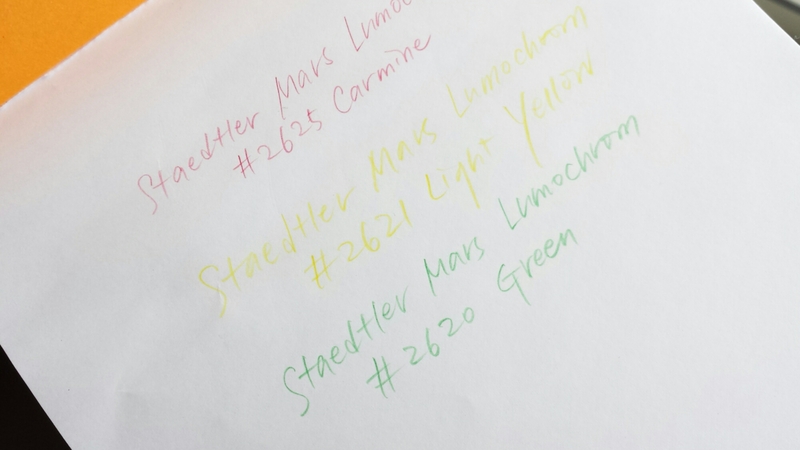 Trying them out (I sharpened the red; the green and yellow remain factory-sharpened), I do see that they are harder and more solid than other colored pencils. They write very sharply and keep their edge very well. I picked up this Staedtler Triplus Jumbo beginner’s pencil at the neighborhood stationer’s today while out on a walk. Yellow is a classic color for pencils, but this bright, shiny canary yellow seems particularly perfect for a child’s first day of school. It’s only recently that I realized there was a particular reason I was so attracted to these chubby jumbo pencils. You see, they were never available to us when we were young, and they still aren’t for most children in Korea – Asian companies seem to have a different definition of “beginner’s pencils” compared to their counterparts in the West. 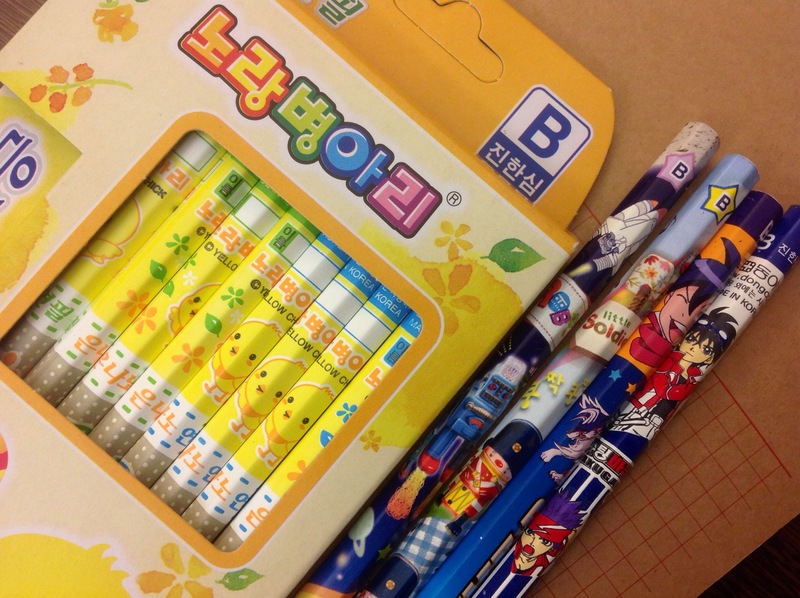 In Korea (and as far as I remember, in Japan as well) kiddie pencils are available in slightly darker grades (B or 2B, although HB is of course standard) and carry appealing shades of color or very commonly manga characters, but are rarely made in larger dimensions. 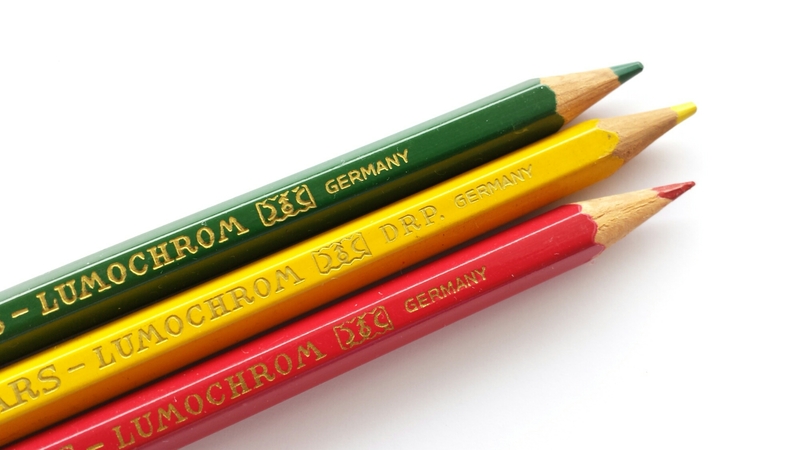 In contrast, Western brands have long produced jumbo pencils for smaller hands and fingers (I’m not familiar with the history of school pencils, but given the existence of vintage pencils such as the Dixon Laddie, it doesn’t seem like a very recent phenomenon). The reason behind this peculiar phenomenon, I suppose, is that children in Asia learn to use chopsticks long before they hold their first pencil, and so are expected to have already acquired a set of basic fine motor skills that will enable them to handle regular-sized hexagonal pencils without any difficulty. Therefore pencil companies do not feel any particular obligation to accomodate their smaller physique. 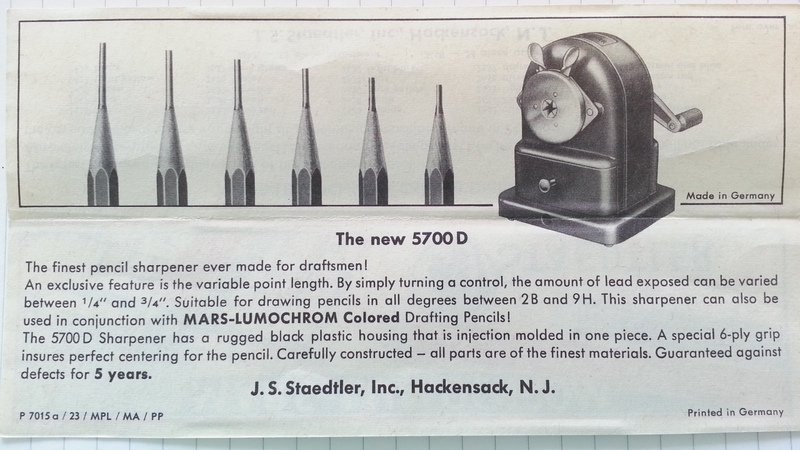 Another point to consider is that the “correct” way to hold a pencil is much more strictly enforced in a culture that values the act of writing almost as a moral act: and therefore, what the Western triangular jumbo pencil is intended to do, i.e. gently nudge the child’s fingers into the correct position, Asian parents and teachers take it upon themselves to do in a much more aggressive manner, nagging and scolding. (They even try to correct left-handedness.) In this kind of situation, it may prove more efficient and time-saving to have children start on regular-sized pencils right away, rather than have them switch sizes halfway and start all over again. And God help you if your fingers aren’t in this standard position by first grade! 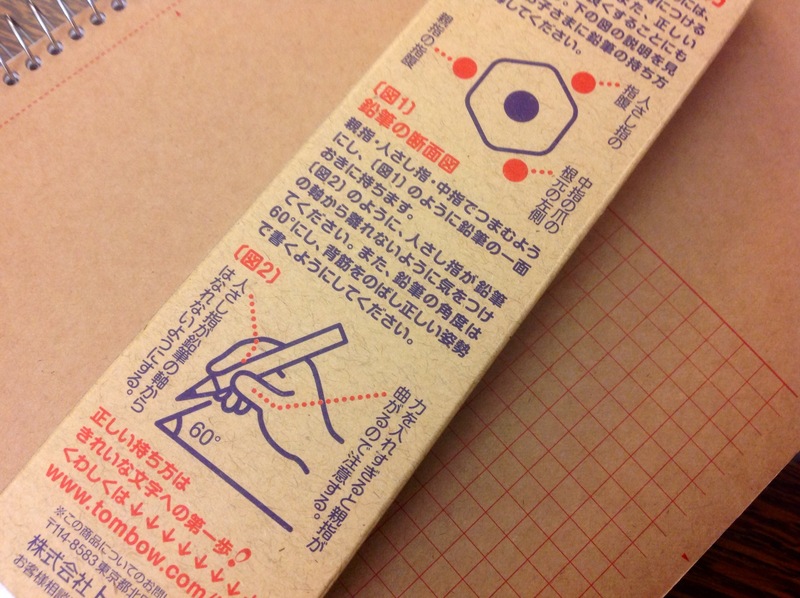 All this has an interesting effect on Asian consumers like me I think: the wide-grip jumbo pencil appeals on an aesthetic level, because its design is so unfamiliar. 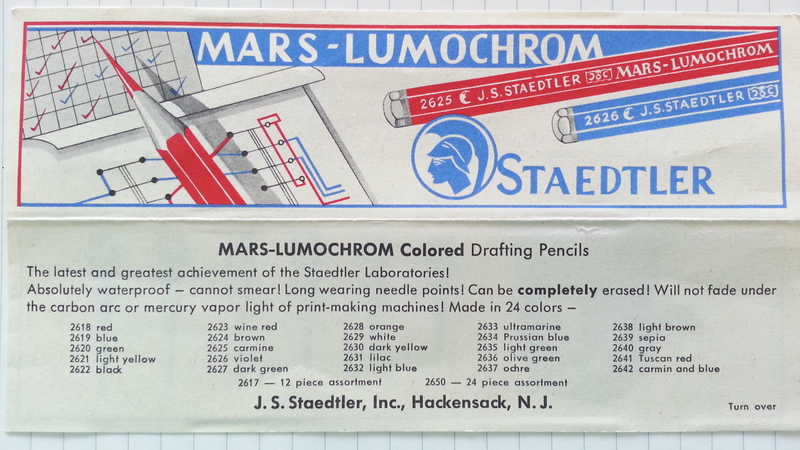 (For the same reason I also love the Stabilo Woody pencils, although I don’t have any use for them.) 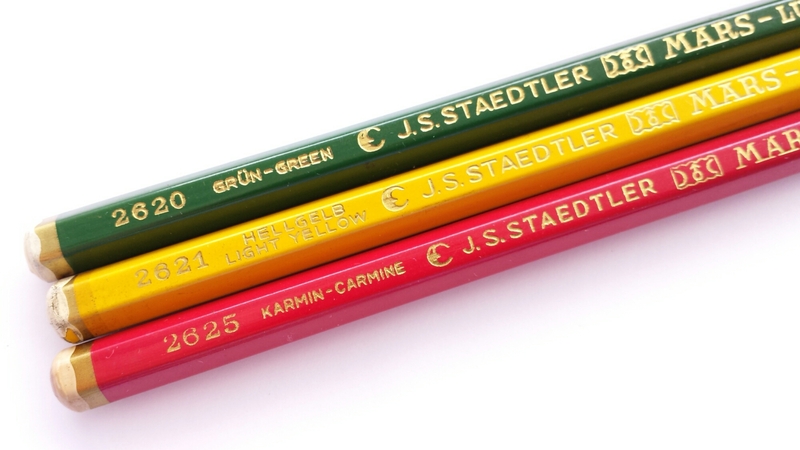 Interestingly, jumbo colored pencils are relatively common compared to their graphite cousins, but I’m not sure if that is because children use them earlier than regular pencils, or if it’s just because of the extensive retail network that companies like Faber-Castell and Staedtler have. Last year, the second-grade supply list specified Papermate Mirado pencils. 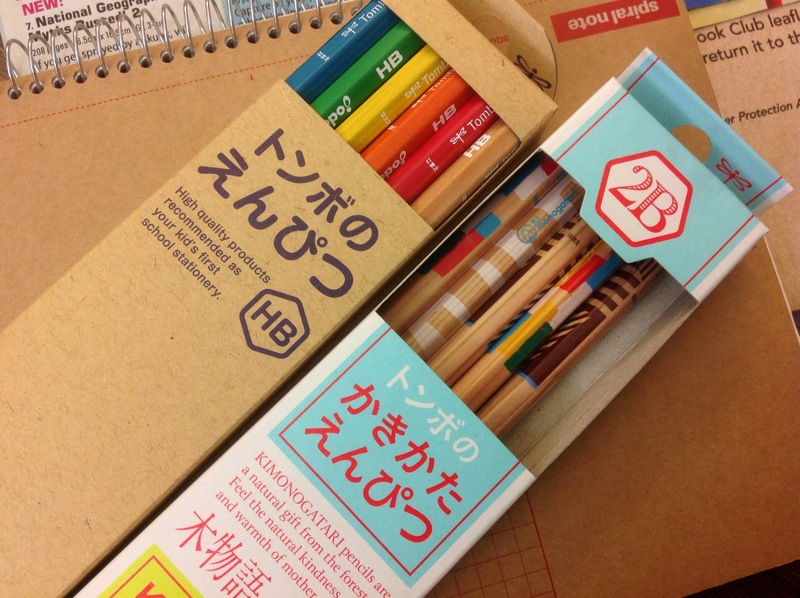 This year, the list said “24 HB pencils” but did not refer to any brand by name. (They usually tell us to get Staedtler erasers and pencil sharpeners.) 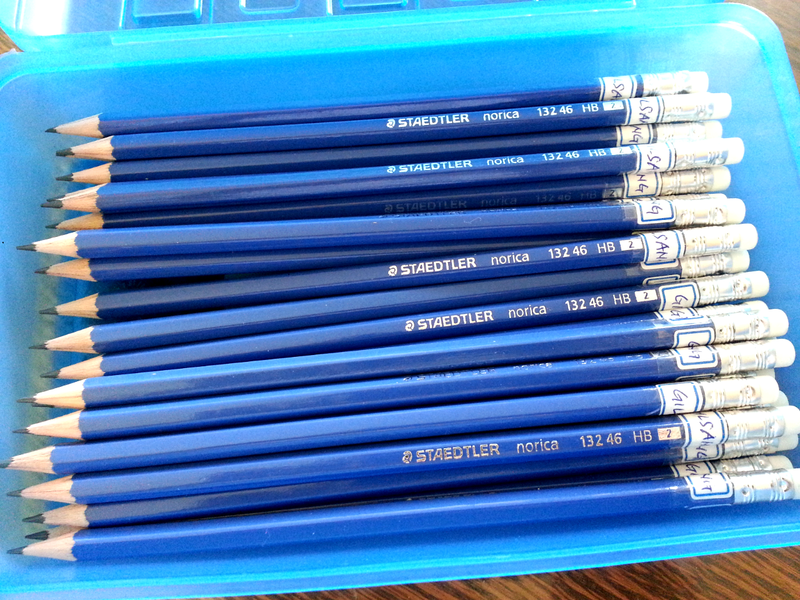 So I went ahead and changed my son’s pencil case color scheme to blue. On a different note, I was recently talking to a Canadian woman whose children were grown. 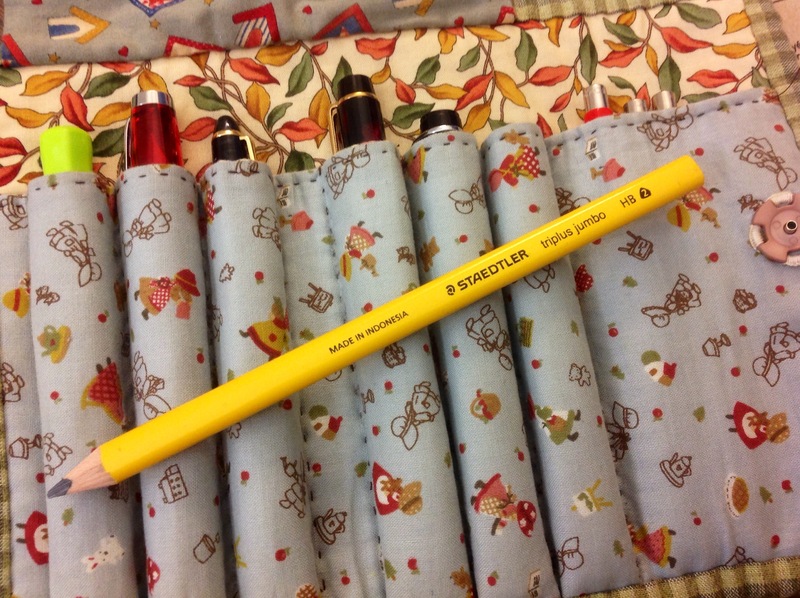 She mentioned that when she was young, schoolchildren were given ONE pencil each, and that they were expected to take good care of it. Now, she said, it’s like asking them to lose pencils, the way they ask for dozens to be brought to school.